"Ye Ling is still a cultivator at the second level of the Aurous Core Stage, he is not that easy to deal with. In the Little Heaven Realm, he had also acquired two high-grade Dao treasures. Now, he was refining another Dharma treasure with all his might. Although I do not know what this thing is exactly, but if it is more powerful than a high-grade Dao Tier magical treasure, then when he is finished refining it, I might be the one who will be finished with it and not him. Therefore, I might as well just go to the Yin Corpse Sect right now and not give him any time to react. " Wei Suo looked at the green-robed old man and nodded, "I definitely don't have time to refine other things, but with the two Terminator Golden Pills in my hands, I should be able to protect myself in the Yin Corpse Sect." "Good, we have to be this ruthless. To deal with enemies, we have to be this ruthless. I'll compete with you again in suppressing the pill energy and in refining the Terminator Gold Pill. "We can't let anything go wrong with this. Otherwise, if something were to go wrong during the refining process and the Jindan explodes, we'll all be finished." After saying a few words in satisfaction, the green-robed old man recounted the method to concoct the Absolute Gold Pill in detail again. Afterwards, he reminded Wei Suo, "Wei Suo, after you finish concocting the Absolute Gold Pill, try out the item we obtained from the Reincarnation Tower on Devil Eye Island. With your current cultivation, you might be able to find out what kind of treasure it is." Wei Suo nodded. Knowing that it was dangerous, he went through the method to cultivate the Extinction Gold Pill again in his mind. Then, he stretched out his hand and shook it, wrapping it with his true essence. Daoist Master Huo Yun's aurous core floated in front of him. 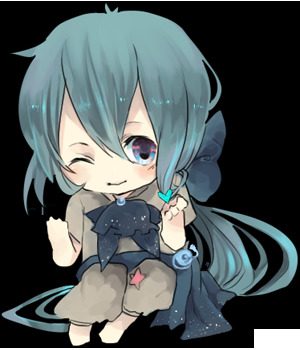 Following the flickering of Wei Suo's gaze, a small light talisman materialized in his hand. Now that he had broken through to the Aurous Core stage, his true essence and spiritual sense were enough for him to form talismans with the method he had. And with his foundation in talisman crafting, these kinds of talismans could be formed overnight without any obstacles. This small light talisman immediately followed Wei Suo's finger and struck on Spiritual Master Huo Yun's aurous core. As if he had thrown a lump of true fire into a pile of flint stones, the lifeless Jindan of Daoist Master Firecloud suddenly shook and shot out countless purplish black rays of light. "Spiritual Master Huo Yun, your death has a lot to do with this Ye Ling fellow. "This time when I go to the Yin Corpse Sect, if I can beat Ye Lingcun up like a dog, if you know about this, you will definitely be furious." "Aurous Core stage light, suppress it for me!" While Wei Suo was mumbling to himself about Adept Huo Yun's Jindan, countless rays of multicolored light immediately gushed out of the purple-colored Jindan. Compared to Adept Huo Yun's Jindan, the Jindan was even larger and more monstrous. It fiercely suppressed Adept Huo Yun's Jindan. On Spiritual Master Huo Yun's aurous core, all of the purple light was forcefully suppressed and forced back into his aurous core. On his aurous core, countless fine light cracks appeared, as if they were about to self-detonate. "Wei Suo, right now, hurry up and refine it!" The green-robed old man immediately screamed out in a very nervous voice. Wei Suo's eyes flashed intensely. The violet light emitted by his aurous core continued to suppress the aurous core of Daoist Master Huo Yun. At the same time, different light talismans continuously condensed from his hands and imprinted themselves onto the aurous core of Daoist Master Huo Yun. With each light talisman imprinted, one of the glowing cracks on Spiritual Master Huo Yun's aurous core was sealed. The radiance precipitated, but the crack remained. He didn't know how many light talismans had been consecutively shot at him, but the fine light cracks on Daoist Master Huo Yun's Jindan had all settled down, and the dangerous aura had completely disappeared. Without the slightest pause, Wei Suo swiped his hand, and a string of blood flew out from his fingertip and seeped into this Jindan covered with fine cracks. The green-robed old man looked as if he was about to choke on his own saliva, even though he didn't have one. For ordinary Aurous Core stage cultivators, it would be extremely difficult to suppress the aurous light of the aurous core, but since Wei Suo's aurous core was so large, it couldn't be fake. The power of the aurous core was far greater than the power of the Aurous Core stage light of the Flaming Master golden core. The pill was easily completed in less than an hour. "My god, this thing is too dangerous. Let's put it away first." As soon as he finished concocting the Extinction Gold Pill, Wei Suo could feel that this golden pill seemed to have some sort of talisman within it. With just a thought, he could activate it. In addition, just by relying on one's divine sense, one could sense the destructive power contained within this Extermination Gold Pill. It was as if after he refined it, the explosion of the Jindan would stir up heaven and earth origin energy. It was like the explosion of a Jindan had been magnified. With just a few glances, Wei Suo immediately placed the refined Extinction Gold Pill into the storage pouch that he had specially stored his commonly used magical equipment. After that, Wei Suo continued to refine the golden core of the demonic umbrella. The golden core of the demonic umbrella was also much larger than normal golden cores. It was also the size of an egg. The cultivation of the umbrella was already at the late stage of the first level of the Aurous Core stage. However, what made the green-robed old man dumbstruck was that the golden core of the umbrella had been easily suppressed by Wei Suo! This scene also made the green-robed elder realize that his initial prediction had been wrong. Previously, when he saw the power of Wei Suo's Aurous Core, he predicted the power of this "Great Golden Elixir". Previously, when he saw the power of Wei Suo's Aurous Core, he estimated the power of this "Great Golden Elixir". Now, when he saw the power of Wei Suo's Aurous Core, he estimated the power of this "Great Golden Elixir". "The difference in rank of cultivation techniques, the higher the cultivation, the more obvious it is." The green-robed old man couldn't help but have the thought that a skinny camel was bigger than a horse, and a newly born level eight demon beast was even more powerful than a level four or five demon beast. It was the same as what Wei Suo had said. His Jindan was huge, it was indeed not a fake. In less than an hour, the golden core of the demonic umbrella was successfully refined into an Extinction Gold Pill by Wei Suo. He put it away, and then something else appeared in his hands. It was the ancient talisman he got from the Reincarnation Tower on Devil Eye Island. This ancient rune was made from an unknown black gold. It was covered with countless strange runes and patterns, one of which even had five or six slender yellow crystals embedded into it. Even though Wei Suo had already broken through to the fifth level of the Fragmentation Realm, he still found that his primeval essence was insufficient when he tried to activate it. After grabbing the ancient talisman in his hand, suddenly, Wei Suo's eyes lit up. The five or six slender yellow crystals on this ancient talisman began to glow. However, what caused Wei Suo to be stunned was that this ancient talisman did not consume much of his primeval essence. It seemed that as long as one reached his Aurous Core stage and had this kind of primeval essence, he could activate it. Once this ancient talisman was activated, an egg-shaped yellow light barrier was formed around him, covering an area of three meters. This yellow light screen's brilliance was like flowing water. From the looks of it, it didn't have any defensive strength, as if some kind of arcane spell or magic treasure could directly pierce through it if stabbed, and it didn't seem like a defensive light barrier. "This... "This is a top-grade Ancient Divine Protection Symbol!" The green-robed old man stared blankly for a while before suddenly reacting and shouting out. "Top-tier Ancient Divine Protection Symbol? This is the same as the Ancient Divine Protecting Talisman, the kind of thing that can allow cultivators to continuously pass through teleportation arrays without exhausting their spiritual sense? " Wei Suo was stunned. "It's the same thing." The green-robed old man looked at it for a while and nodded, "When the time comes, we'll try out a teleportation nexus. There shouldn't be any mistakes." "After all this time, is there really such a thing? Even a Mysterious rank defensive treasure would be stronger than this. What is the use of it if only Aurous Core stage cultivators are capable of using it? " Wei Suo immediately rolled his eyes gloomily. "What is the difference between this top-grade spirit protecting rune and an ordinary spirit protecting rune?" "Ordinary spirit protecting ancient talismans are useless in a long-distance teleportation nexus. This sort of top grade spirit protecting array symbol is effective even in long-distance teleportation arrays. " The green-robed old man said, "In the ancient cultivation world, this kind of supreme ancient spirit protecting talisman was also a treasure. This is because there are many extremely long distance teleportation formations over two hundred thousand kilometers in length that can only be used when carrying this talisman; otherwise, unless one is a cultivator of the Divine Profound Realm, cultivators below the Divine Profound Realm would directly be distorted by the force of space during teleportation and would directly die from the impact. "Also, it is said that these talismans can protect cultivators and protect them from harm by passing through many spatial rifts." Wei Suo knew that the power of space within a transportation formation was several times stronger than a cultivator's true essence. If he were to transfer, the power of space would make a cultivator's spiritual sense tired and would be useless no matter how high his cultivation was. However, those with a high cultivation base would be able to withstand it. For example, when they were in the Profound Sky Continent, Wei Suo's cultivation level of twenty thousand Li per day was already his limit. With his current Aurous Core stage cultivation level, he would probably need to spend some time to meditate no matter how many of these Teleportation Formations he had in a day. Wei Suo remembered that back at the Star Condensation City's auction, he had still wanted to buy a set of Ancient Divine Protecting Talisman. However, that ancient talisman had been bought by Heart's Flower in the end. Right now, this ancient talisman was still extremely useful when travelling at a long distance. As for being able to pass through a lot of spatial rifts without being damaged, that made Wei Suo's view of the ancient talismans change greatly. It was because it was said that outside of the sky, there were many places with spatial rifts, which were extremely dangerous. The instant it was sucked into the space, the twisting power of space could not be resisted even if it was an ordinary treasure of high rank. With this, there would be an additional safeguard for him to walk outside the dome of heaven in the future. "Let's go." After pondering for a while, Wei Suo nodded towards Jia and the green-robed old man, "Let's go to the Yin Corpse Sect and test out the effectiveness of this item." Tips: You're reading Jun Ye Can't Help But Tease His Wife . Use left-right keyboard keys to go to next/prev page. NineAnime is the best site to reading Jun Ye Can't Help But Tease His Wife Jun Ye Can't Help But Tease His Wife Chapter 506 free online. You can also go Novels Genres to read other novel or check Latest Releases for new releases.